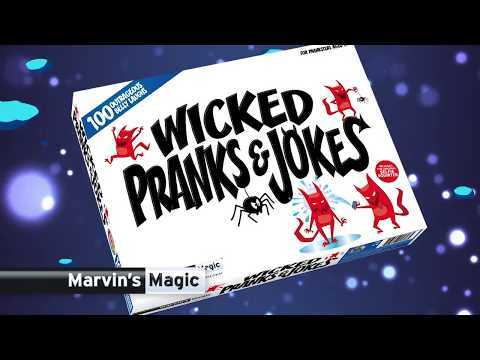 Wicked Pranks & Jokes - for the Prankster! This wickedly fun set includes 100 outrageous belly laughs for pranksters. Prank your friends and family with mischief-making jokes like the Jumping Spider Eggs and seriously funny stunts with the Selfie Phone Squirter. There are up-to-date pranks for the modern day joker with the Smart Phone Spider Trick as well as classics like the Fake Parking Ticket. The fun booklet outlines the cunning approach required for setting up pranks like the Bone Cruncher and Freaky Body Surprises. Prepare to be pranked - there's no rest for the Wicked! Volcano Puzzle - Wooden Brain Teaser! Fantastic puzzle, brilliant in it's simplicity - baffle your friends! Racing Zombies - Wind up & go! Two zombies race to the ultimate goal, a tasty brain! Pizza Airdisc Frisbee - Fast Food! Easy throwing & amazing flight times - just don't eat it! Colourful interchangeable ribbon straps to suit moods or outfits. Twelve year old girls are very sociable and love spending time with their friends. They enjoy playing cool and unusual games, and love creating some culinary masterpiece to share. They enjoy learning about their world around them and the human body and listening to the latest music. These girls are the scientists and engineers of the future, so any gift you give them that has a focus on technology will be much appreciated.